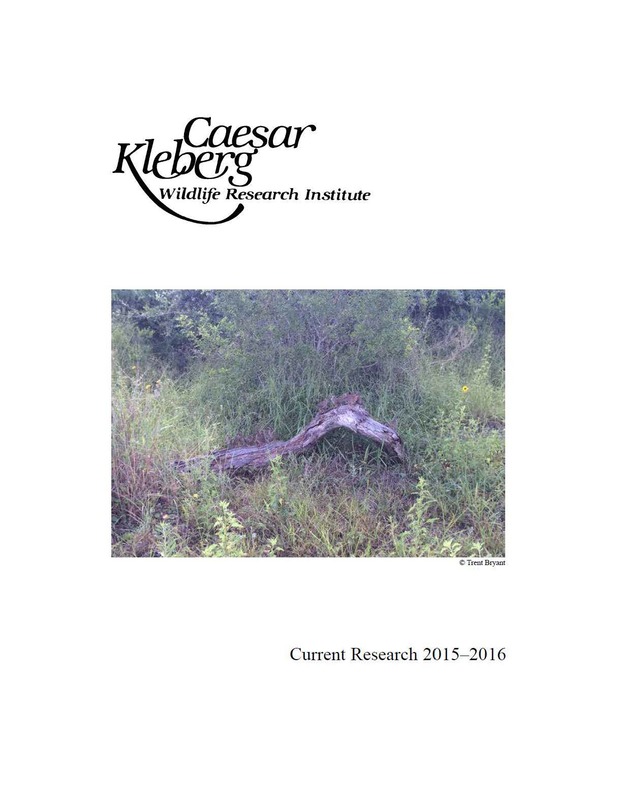 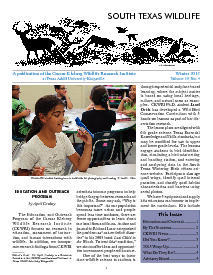 The Caesar Kleberg Wildlife Research Institute produces several publications that are not program specific. 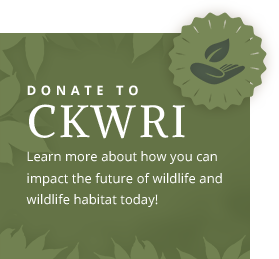 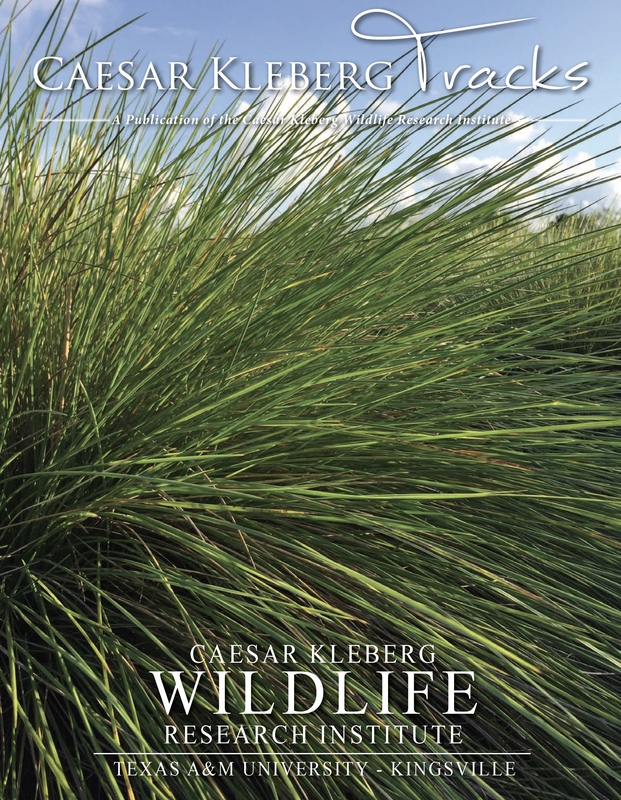 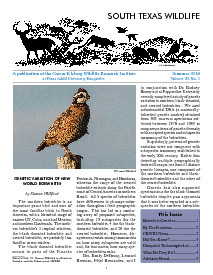 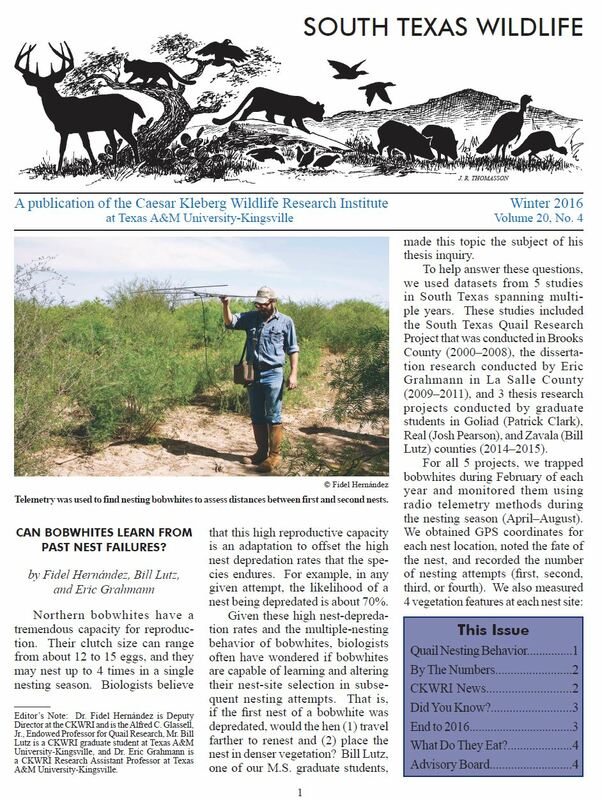 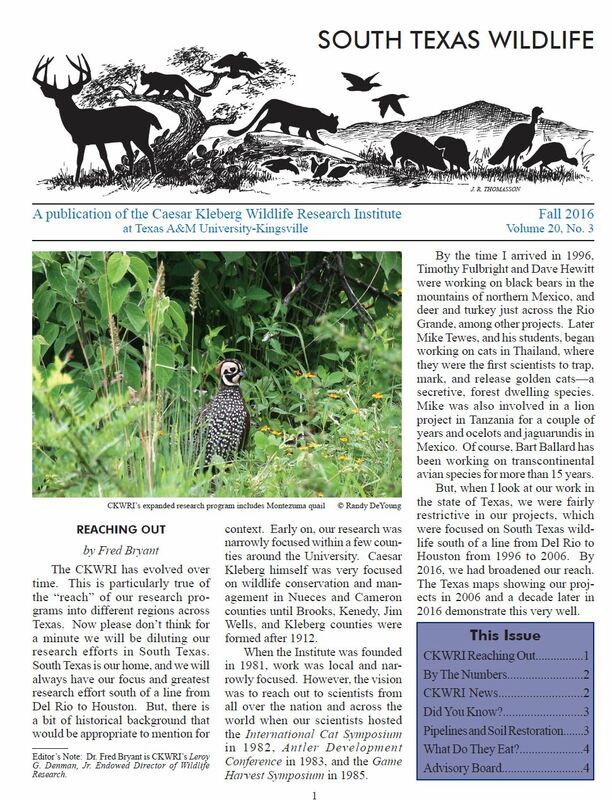 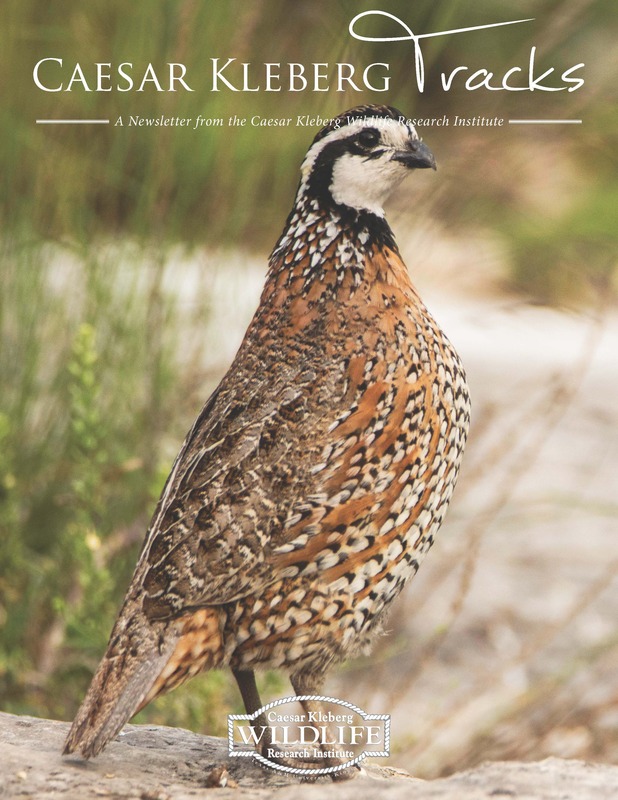 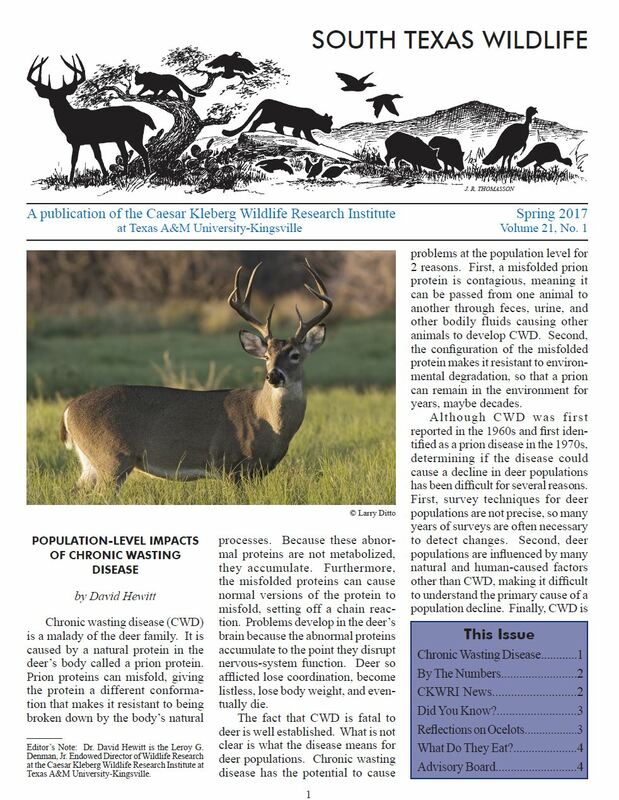 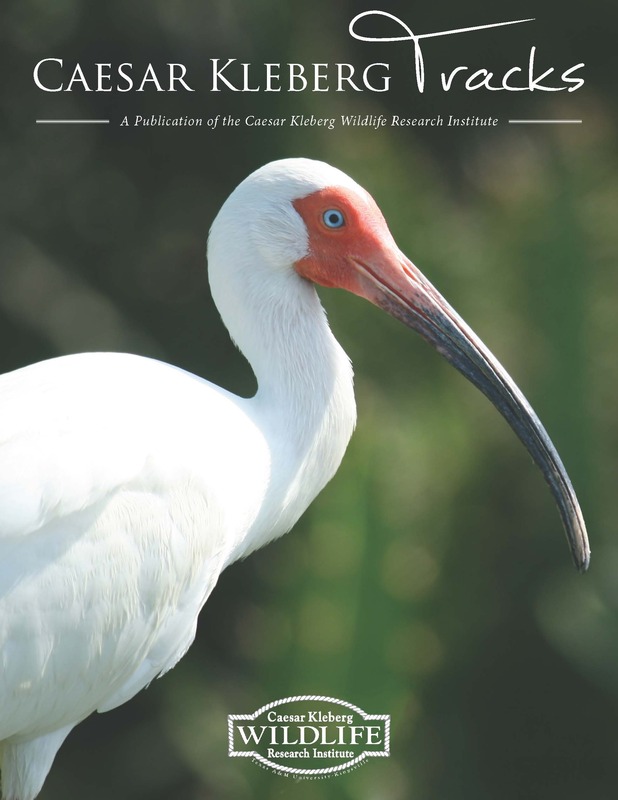 The quarterly South Texas Wildlife Newsletter, the bi-annual Caesar Kleberg Tracks, and the Caesar Kleberg Annual Giving Report. 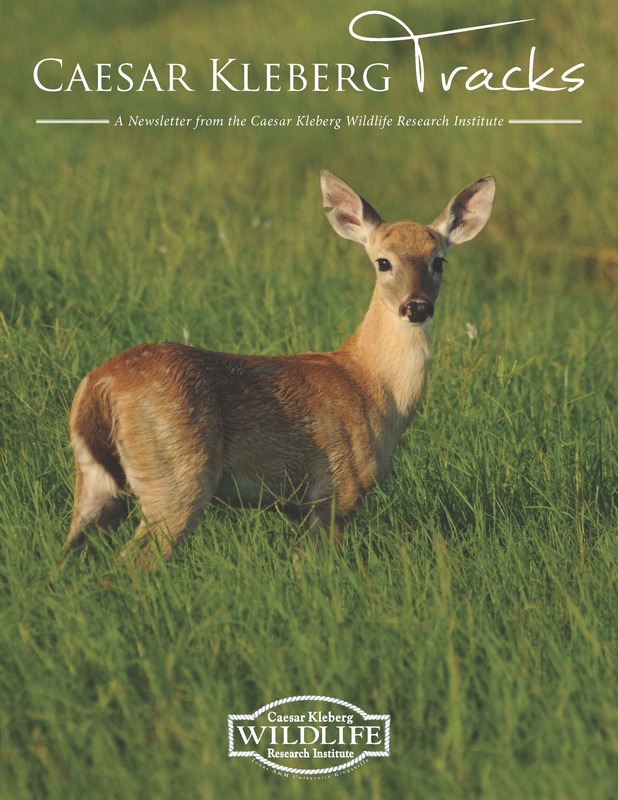 If you would like to receive these publications, please email us your contact information to be added to our mailing list.